^ Krafft, Fritz. Astronomy. (编) Cancik, Hubert; Schneider, Helmuth. Brill's New Pauly. 2009. ^ Thurston 1994, p. 2. ^ Lindberg 2010, p. 86: "In their work we find (1) a shift from stellar to planetary concerns, (2) the creation of a geometrical model, the "two-sphere model," for the representation of stellar and planetary phenomena, and (3) the establishment of criteria governing theories designed to account for planetary observations"
^ Lloyd 1970, p. 84. ^ Cambon, Pierre; Jarrige, Jean-François; Bernard, Paul; Schiltz, Véronique. Afghanistan, les trésors retrouvés. Paris: Musée national des arts asiatiques-Guimet, Réunion des musées nationaux. 2006: 269. 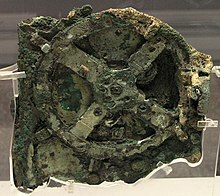 Les influences de l'astronomie grecques sur l'astronomie indienne auraient pu commencer de se manifester plus tot qu'on ne le pensait, des l'epoque Hellenistique en fait, par l'intermediaire des colonies grecques des Greco-Bactriens et Indo-Grecs. ^ Pingree, David. Astronomy and astrology in India and Iran. Isis (University of Chicago Press). Jun 1963, 54 (2): 229–246. Aaboe, Asger H. Episodes from the Early History of Astronomy. New York: Springer. 2001. ISBN 9780387951362. Dreyer, John L. E. A History of Astronomy from Thales to Kepler 2nd. New York: Dover Publications. 1953. ISBN 9780486600796. Evans, James. 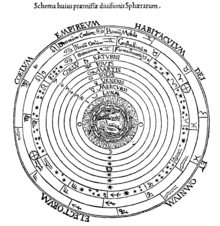 The History and Practice of Ancient Astronomy. New York: Oxford University Press. 1998. ISBN 9780195095395. Heath, Thomas L. Aristarchus of Samos. Oxford: Clarendon Press. 1913. Lindberg, David C. The Beginnings of Western Science: The European Scientific Tradition in Philosophical, Religious, and Institutional Context, 600 B.C. to A.D. 1450 2. Chicago: University of Chicago Press. 2010. ISBN 9780226482040. 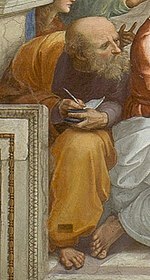 Lloyd, Geoffrey E. R. Early Greek Science: Thales to Aristotle. New York: W. W. Norton & Co. 1970. Neugebauer, Otto E. A History of Ancient Mathematical Astronomy. Berlin: Springer. 1975. ISBN 9780387069951. Newton, Robert R. The Crime of Claudius Ptolemy. Baltimore: Johns Hopkins University Press. 1977. ISBN 9780801819902. Pedersen, Olaf. Early Physics and Astronomy: A Historical Introduction 2nd. Cambridge: Cambridge University Press. 1993. ISBN 9780521403405. Thurston, Hugh A. Early Astronomy. New York: Springer. 1994. ISBN 9780387941073. Toomer, Gerald J. Ptolemy's Almagest. Princeton: Princeton University Press. 1998. ISBN 9780691002606.